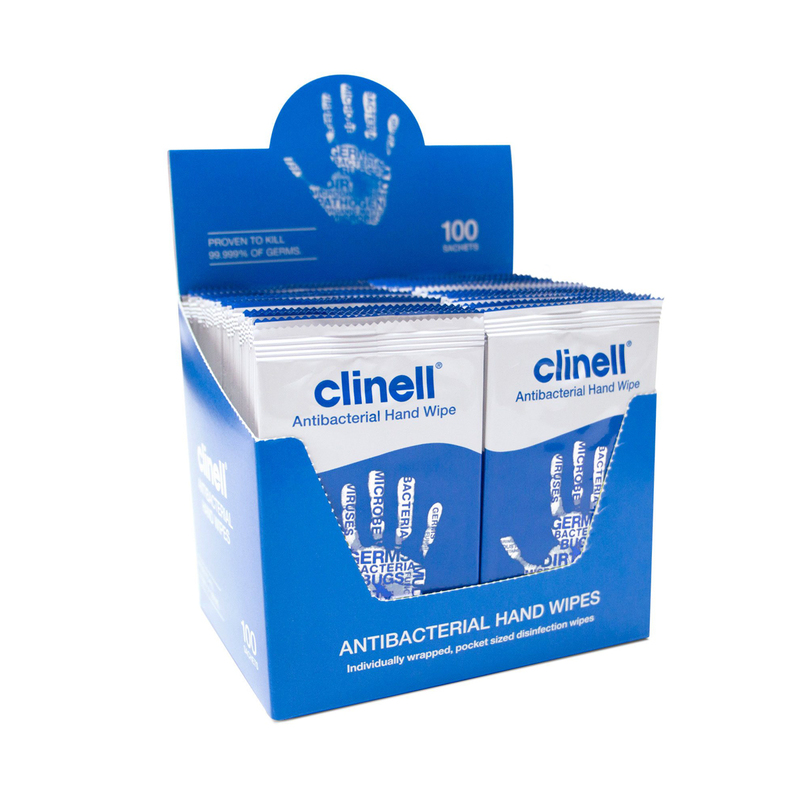 Clinell antibacterial handwipes are a highly effective skin cleaner. Being both large, and moist, they clean and disinfect providing a better cleaning action than alcohol gel rubs which kill bacteria, but don't physically remove dirt. 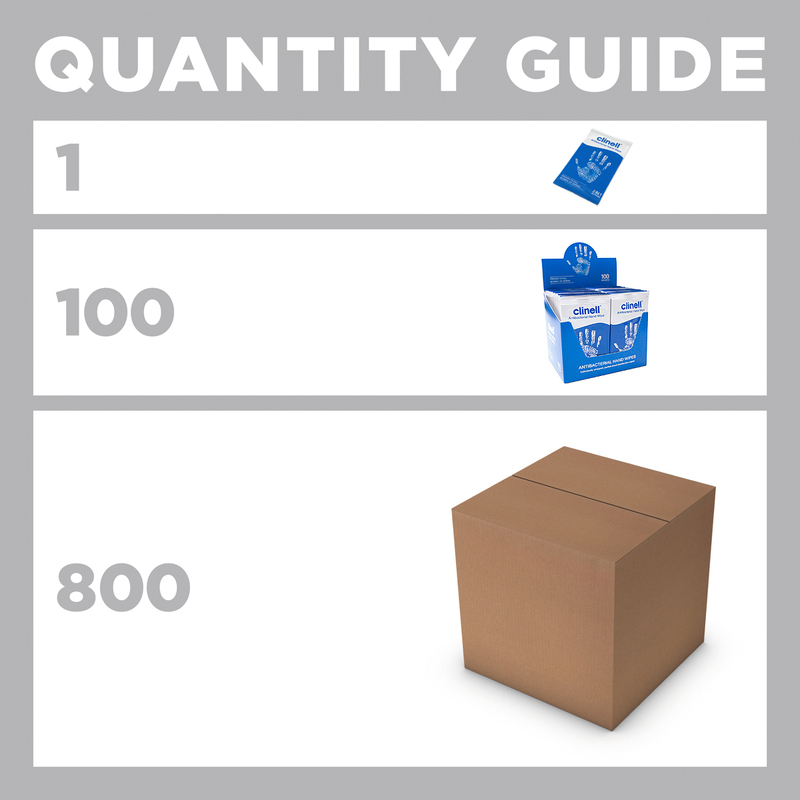 To buy, put the number of handwipes you want in the Qty box above. So to order 1 box, please add 100 to your basket. Using a patented formula, they work in 10 seconds, killing 99.9% of germs and last for 24 hours. 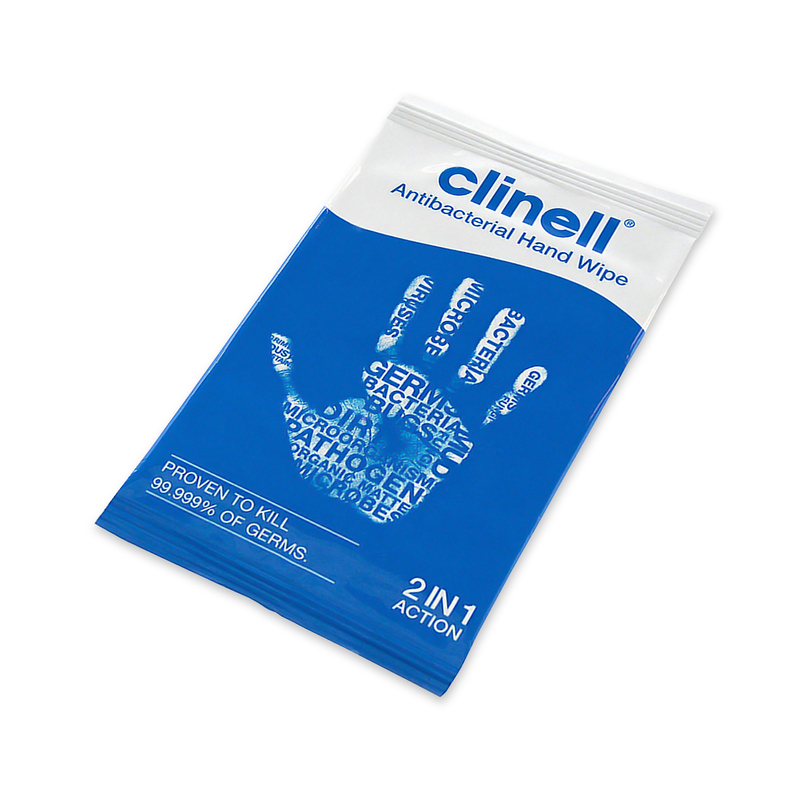 Developed for frequent use, Clinell Antibacterial Hand Wipes are dermatologically tested, and contain aloe vera and moisturisers to keep skin healthy, and prevent soreness. For best results, rub the wipe all over the hand and fingers. 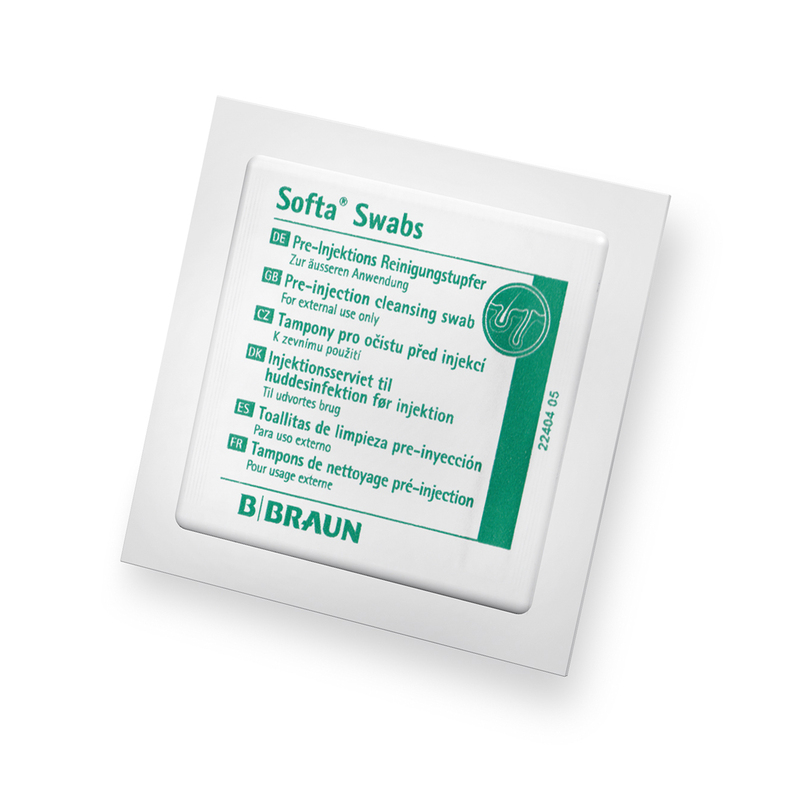 Throw the wipe away, and keep rubbing until your hands are dry: the disinfection happens when the fluid evaporates from around the cell walls of the bacteria, causing the cell wall to rupture.